Today is 12th January 2017 and I have just completed a one week visit to Guangzhou in southern China to meet with our local business partners, staff, clients, prospects and many existing and new connections. 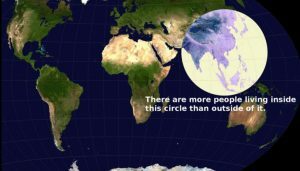 My focus is on doing business in China, particularly with investors, entrepreneurs, SMEs and high net individuals, and so my views are defined by my conversations with these types of people and my observations of what they think, rather than the more macro economic perspectives that you hear on CNN and BBC. I don’t pretend to be an economic, political or social commentator. I have no axe to grind or political agenda to push. All I can tell you is what I see, hear and observe. I hope you find it to be valuable. The Monkey year was predicted to be volatile, unpredictable and full of surprises, and so it proved. Most of the world is grappling with the rise of populism, terrorism, political upheaval throughout the world, particularly in UK, Europe and the US, and a big change in global economic conditions with the US raising interest rates for the first time in over 5 years. In contrast, China appears to be following a steady and somewhat predictable course. 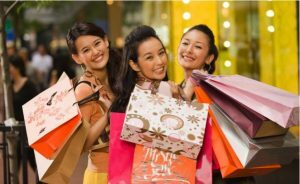 China’s GDP growth in 2016 is estimated to have been 6.7%, which sits comfortably within the expected range of 6.5% to 7%, and it appears to be “business as usual” on the ground as local business people speak with optimism and excitement about the future. I was in China on the day of both the result of Brexit and the US election, but you wouldn’t have known it. There was almost a deadly silence, as though nobody had noticed, and the people I deal with kept their heads down, focused on their own business, and hardly acknowledged these global seismic events. Sales of passenger vehicles in China increased by 15.9% in 2016, more than double the estimates and the highest annual percentage increase since 2013. President Xi Jinping will become the first Chinese President to attend the World Economic Forum in Davos next week. I admire the Chinese Government and people for their commitment to long term planning, predictable and orderly outcomes, “top down” management and strong execution. Whilst western media and commentators sneer at China’s problems (this week the focus has been on air pollution which has been particularly bad in the North, the high price of industrial progress), they seem to ignore or undervalue China’s successes. You have to read the China Daily (which I appreciate could also be regarded as somewhat “one eyed”) to view the other side of this two-sided coin. What to expect in the Year of the Rooster? 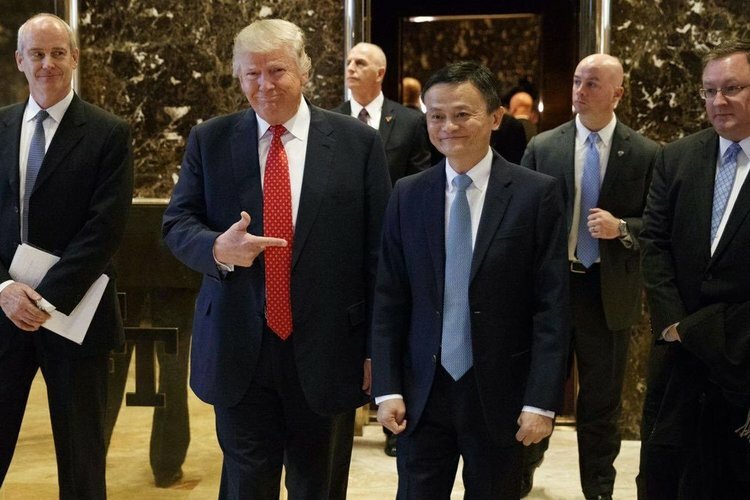 In addition to the headlines mentioned above, today’s China Daily carries a photo on the front page of President-elect Donald Trump and China’s popular man-of-the-moment, Jack Ma, after their meeting in New York on 9th January 2017 at which Alibaba laid out their plan to create 1 million new jobs in the US by connecting American SME’s with Chinese consumers via their ecommerce platforms. Everyone noticed this and commented on it. It was a brilliant response to the understandable fears created during the US election campaign which suggested that China would become a target for new US protectionism under Donald Trump. Many said “Trump is a businessman. He’ll know what to do when he becomes President. A good relationship with China will help him”. It seems that this particular fear was (almost) swept aside by this single masterstroke. In a country where symbols and imagery is so important, this was a perfect response! The general view in China is that the first 100 days of the new administration will be volatile, unsettling and even dangerous while the new President announces his intentions and ideas for the next 4 years. China is ready for this. It is expected that, as the new team move from ideas and rhetoric to the implementation of actual policy measures (involving the two houses and the tedious and bureaucratic legislative process) the new Government will start to resemble a more typical Republican administration (more like Ronald Reagan’s Presidency) and will be less threatening. Only time will tell whether these hopes will be realised. 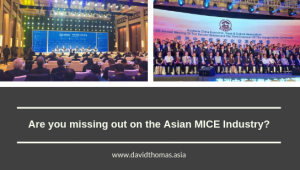 There was also lots of talk about the new measures recently introduced by the Chinese Government to make it harder for individuals and companies to move their money out of China. This includes reduced quotas for the purchase of foreign currency, greater scrutiny of overseas currency transfers by the banks and new reporting requirements for all foreign currency transactions. I spoke to the senior managers of one of the large SOE Banks and their view was that these regulations were relatively temporary measures designed to support the RMB in the short term. In the meantime, they are expanding their overseas department to assist clients with overseas transactions and overseas investment. Everyone knew that, when the US Federal Reserve started to unwind the loose monetary policy (also known as “Quantitative Easing”) introduced to counter the GFC in 2008, there would be a period of volatility while the markets adjusted to the new paradigm. That’s why the Fed took so long, and issued so many warnings in advance, before they started acting! With two small interest rate rises, and the prospects of more to come, money is starting to flood back into US dollars and, as a consequence, this has put pressure on many other currencies including the RMB which has come under considerable pressure from currency traders and speculators. To avoid a major and disruptive devaluation in the RMB the Chinese Government has used its foreign exchange reserves to sell USD and buy RMB, and introduced new currency controls (as mentioned above) to keep funds in China. This tactic has worked so far, despite the strong headwinds blowing in the opposite direction, and the offshore yuan has strengthened in recent days (up 2.6% this week). In the meantime, financial commentators have raised concerns about China’s dwindling foreign reserves (which have fell by RMB41 billion but still remain above RMB3 trillion, a number which is still regarded as being well in excess of the nation’s requirements to cope with external shocks) and the Government’s ability to continue to support the RMB and, with the much repeated statement that “China growth is slowing” there is widespread speculation in the western media about the prospects for China’s future! All I can say that these fears don’t appear to be felt, or discussed, on the ground in China. Quite the opposite in fact. Most people regard these events as highly predictable and of little consequence. Most believe that the volatility will be relatively short term and, once the currency speculators lose money from betting against the Chinese Government’s ability to support the RMB, the currency will return to its more long term trading pattern. We live in interesting and uncertain times. The first half of 2017 will undoubtedly be challenging and volatile as we all grapple with a new and untested US President and the possibility of new populist Governments emerging from general elections in Germany, France and Italy. 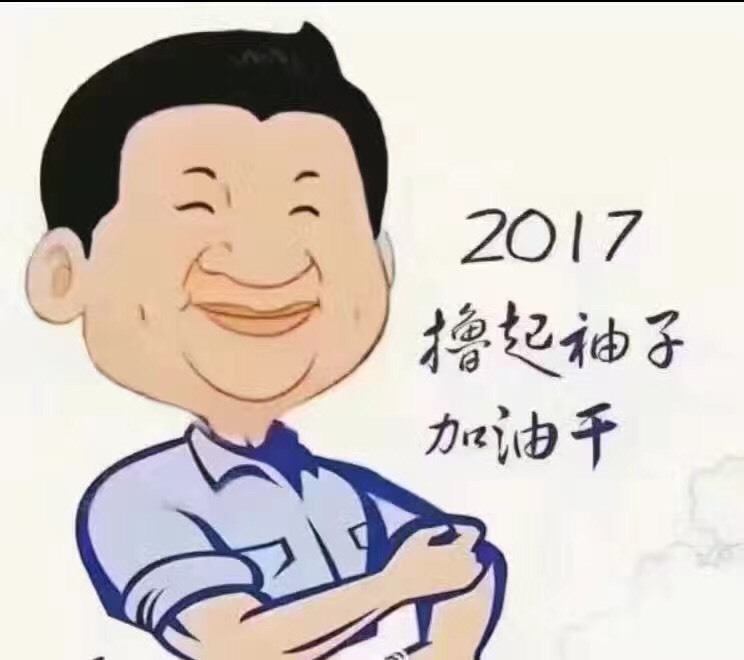 The imagery in China, as illustrated by this caricature of President Xi Jingping rolling his sleeves up ready to work hard in 2017, is of a country taking its place in the world as a responsible, pragmatic and determined nation which is looking to fill the gap that exists in international leadership, global trade and long term planning. The entrepreneurs I meet in China take a similar approach to their businesses. They control the things they can control, work hard and focus on planning and execution. They avoid frivolous distractions and the western media. Perhaps we should all do the same?